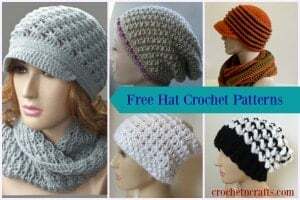 This crochet ear warmer pattern for beginners is crocheted in a few simple stitches that provide a nice and comfortable stretch. As with many of my designs, this ear warmer crochet pattern can easily be adjusted to any size you need from baby to adult large. And it’s not just an ear warmer, but with a few rounds less, you could easily make yourself a nice headband for the summer. If you can make the single crochet, the double crochet, work them together into the same stitch and then skip a stitch, then you can make this pretty ear warmer. Although it is very simple, this beginner crochet pattern is perfect for anyone who enjoys to crochet because it is beautiful and comfortable to wear. I love the spiral lace that naturally occurs as do more rounds. 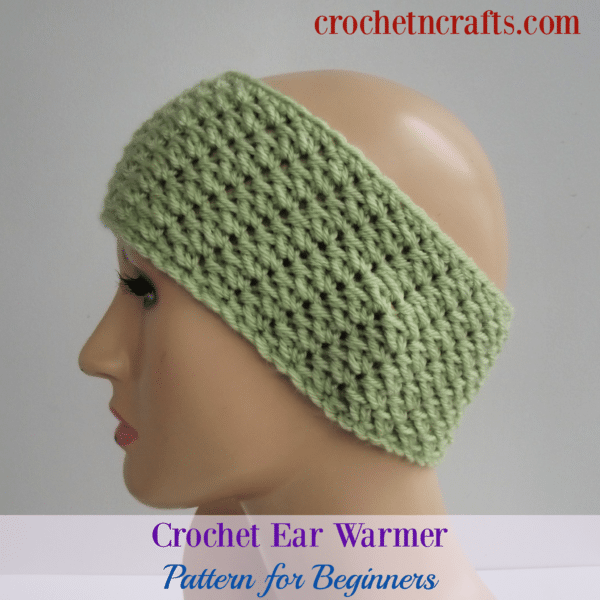 Other easy ear warmer patterns include the Charisma crochet ear warmer and this simple ear warmer pattern. For something a bit more advanced you could try the bouncy bubbly ear warmer headband or the criss cross warmer. Adjust this pattern in any multiple of two to obtain a desired circumference. If making a headband or ear warmer for babies and children, do fewer repeats of Rnd 2. You could also make a cozy cowl to match this ear warmer by increasing the circumference and width. You could start with about 80 to about 200 chains depending on how long you want your cowl to be. Yarn: Patons Canadiana (Worsted Weight (#4) – 100% acrylic, 100g /3.5oz) – 1 ball. Finished Size: 8.5″ by 3.5″. Ch 60 (or any multiple of 2 for desired circumference), join with sl st to first ch being careful not to twist. Rnds 3-11: Rep Rnd 2.